And through the wheaten stubble is heard the frequent gun. Celebrations after a successful crop gathering mark one of mankind’s greatest and oldest known ‘harvest’ festivals, having continued for many thousands of years, beginning in pre-history, long before the Christian calendar set it to the months and seasons as we know them today. Sheaves of wheat and barley have marked this event from Egypt to Elyseus, and from Saxony to Scandanavia. The word harvest comes from the Anglo-Saxon word for the time when crops are gathered – hærfest which followed Weodmonað, as the time of hoeing and weeding of competing herbage around the crops, grown high after the summer rains. The first grains were baked and the loaf was split as an offering shared between the farmer and his gods – ‘hlaf-maesse’ or half loaf. This became Christianised as Lammas. The holy month of September was Haligmonað, that Bede records as one reserved for all holy and sacred rites where heathens and pagans celebrate their gods. Winter began in October or Winterfilleð; so named for the full [hunters moon] that denoted the final hunt of animals in the wild forests. Finally, Bede informs that November was a month of sacrifice. The Icelandic word for November is very similar Gormánuáðr , the ‘gor-month’ or ‘slaughtering-month’. [[ii]] The Blotmonað (blot or blood sacrifice and ritual) initiated the slaughter of much livestock to sell and store for the coming hardship of months under snow and ice, without fresh food and warmth. Many died and it is not hard to see the association of All Hallows Eve as the time of remembrance for those deaths past, in stoic preparation of the next winter ahead. In bygone days, many varied ceremonies and rituals marked the onset and completion of all three Harvests right through from August to October. But it is helpful to understand that until more recent centuries, everything from the month of May until the beginning of October, was known simply as summer. The year was split, not into the four we know and use today, but into two seasons only. This was very common amongst all Northern cultures of the Anglo Saxons, in Britain and Europe, including the Scandinavian kingdoms. 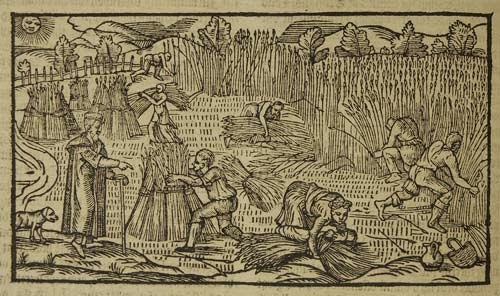 The terms Spring and Autumn did not apply until the 16th and 17th centuries respectively, to denote the beginning and end of the financial year, the accounting of a land based monetary system abandoned and updated in favour of Free Market Trading and Investments bound to the Stock Market in more recent times. Other cardinal markers and quarter days are Lady Day (the Feast of the Annunciation) around March 25 and the Feast of St. John around June 24, and Christmas around December 25. As natural events occurring upon the secular calendar, Michaelmas is one that during the Middle-Ages finalised legalities, rents, debts etc and also prompted the occasion for any due gift or bursary. All four occur at the Equinoxes and Solstices signalling the onset of the next season in our modern northern hemisphere (these being Spring, Summer, Winter, Autumn). They were very familiar during medieval times, being used to denote the natural division into ‘quarters’ of the year for legal purposes, especially for settling debts and fulfilling boons and grants. Regulus marked zero Cancer 2345 BC. Spring is Raphael, Summer (Uriel), Autumn (Michael) and Winter is Gabriel. 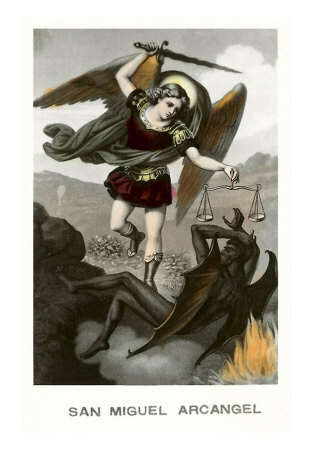 Around the autumn equinox, Michaelmas is the feast of St Michael the Archangel. It heralds a tradition of taking stock, and is the second and major harvest of three, engendering much celebration and feasting. Fairs were held to see and exchange surplus meats, fish, grain and skins, hides and furs. Labourers were hired too, touted and offered for their service over the forthcoming season. Typical fayre almost always included a newly fattened goose and a special bread or bannock. Once cooked a small piece was broken off and cast into the fire by the housewife in order to safeguard herself and her household against the caprice of ill will, borne by others, directly or indirectly. Reserving some of the Struan for her own family, she would visit all her neighbours to share in her bounty and well wishing – a communal blessing. There was always rivalry and prestige in the first to grind the harvest into this simple houzel. As a healer, warrior and peace-maker, St Michael is the Archangel honoured as the guardian and guide of the individual in his/her battle for the self. In historic Germanic tradition, Michaelmas was the time of strength, of exercising one’s will, pitted against those things that challenge and threaten to overwhelm the spirit. This retains at some cultural level the virtue of Wotan (Odhin) whose own resilience fought and conquered all, leading him to self -victory and triumph. 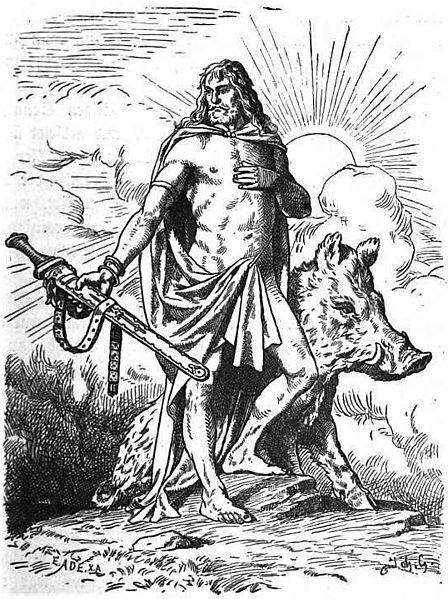 In that historic culture, such challenge was manifest in the ‘worm’ and in the most aged of depictions, the dragon beneath the spear of St Michael, is more akin to a writhing worm than any dragon or later demonic ‘devil.’ This spear inherited according to theology as that very same attributed to Wotan as the harbinger of destiny, and is thus the arrow of truth and the dispeller of all falsehoods, including self-deceit. “What is more noble than Gold?”. “And what is more refreshing than Light?” asks the King. 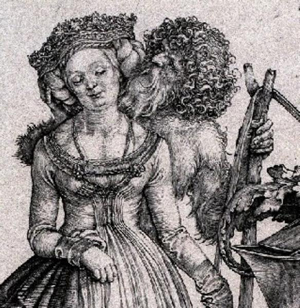 Of course there is above and beyond our own folk-lore, elements of this vital theme within the gothic tale of Faust and within the sacristy of divine kingship in Akkadia. And each one from the other would be parted. To lofty fields of ancient heritage. 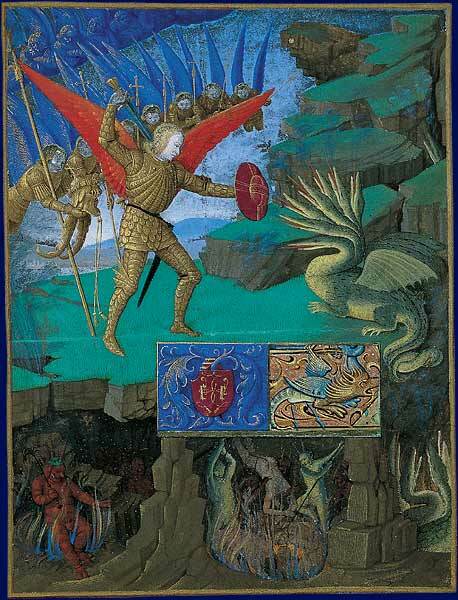 “In the illustration of the fight of Michael with the Dragon one thing is clearly and strongly present; that is, the consciousness that man himself must give to his inner life of soul the direction and guidance that Nature cannot give. Our present-day thinking is inclined to mistrust such an idea. We are afraid of an estrangement from Nature. We seek to enjoy her in all her beauty, to revel in her abundance of life, and we are loath to let ourselves be robbed of this enjoyment by admitting that Nature has fallen from the Spiritual. In our striving for knowledge moreover we want to let Nature speak. We fear to lose ourselves in all kinds of fantasy, should we allow the Spirit that transcends the perception of external Nature, to have a voice concerning the reality of things. Goethe had no such fear. He found nowhere in Nature any estrangement from the Spirit. He opened his heart to her beauty, to the inner power and might of all that she revealed. In the life of man he felt the presence of much that was inharmonious, much that grated and jarred, or that gave rise to doubt and confusion. And he felt an inner urge and impulse to live in communion with Nature, where the eternal laws of sequence and compensation prevail. Some of his most beautiful poems have sprung from such a life with Nature. Goethe was however at the same time fully conscious of how the work of man must fulfil and complete the work of Nature. He felt all the beauty of the plants. But he felt too something incomplete in that life which the plant displays before man. In that which weaves and works unseen within the plant, there lay for him far more than manifests itself to the eye within the bounds of visible form. For Goethe, what Nature attains is not the whole. He felt as well what we may call the purposes of Nature. He did not let himself be deterred by the fear of personifying Nature. He knew well that he was not as it were dreaming such purposes into the life of the plant out of any subjective fancy, he beheld them there quite objectively, just as truly as he could behold the colour of the flowers. Goethe was conscious of how there is in Nature not only an ascending but also a descending life. He felt the growth from the seedling to leaf and bud and blossom and fruit; but he felt too how all in turn withers, decays, dries up and dies away. He felt the Spring: but he felt also the Autumn. In Summer he could partake with his own inner sympathy in the unfolding of Nature, but in Winter he could also partake in her death with the same openness of heart. “The most elaborate rendition of the tree motif appears under the winged solar disk of Ashur, the supreme god of the empire. The symbol of the highest god hovering over the tree marks it as the cosmic tree growing on the axis mundi and connecting heaven with earth. This enigmatic tree thus stood in the centre of the Assyrian Empire, the middle point of the world from the ideological point of view. A cosmic tree growing in the middle of the world and connecting heaven with earth was the best imaginable visual symbol for the king’s pivotal position as the focal point of the imperial system and the sole representative of god upon earth. When seated on his throne, the king, from the viewpoint of the people present in the throne room, merged with the tree, thus becoming, as it were, its human incarnation. This idea is implicit in the fourth chapter of the biblical Book of Daniel, in which the king of Babylon dreams of a huge tree growing in the middle of the earth, its top reaching the sky, and is told by the prophet: “That tree, O king, is you” (Daniel 4:10-22). The king’s association with the cosmic tree, while part and parcel of Assyrian royal ideology, was inherited from earlier Mesopotamian empires. Several Sumerian kings of the Ur III dynasty, about 2000 B.C., are referred to in contemporary texts as “palm trees” or “mes-trees growing along abundant watercourses.” In the Babylonian Epic of Erra, the mes-tree is said to “reach by its roots the bottom of the underworld and by its top the heaven of Anu,” thus leaving no doubt about its identification as the cosmic tree. Representing the king as the personification of the cosmic tree not only emphasized the unique position and power of the king, it also served to underline the divine origin of kingship. As already noted, the cosmic tree had been planted in the world by the goddess Inanna/Ishtar, who elsewhere figures as the divine mother of the king. In Assyrian imperial art, the goddess nurses the king as a baby or child. The message conveyed was that the king was identical in essence to his divine mother. 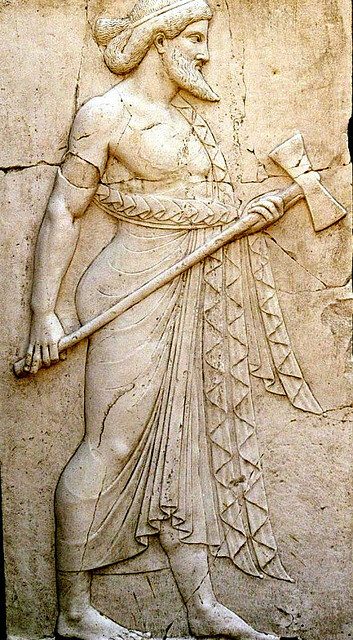 In keeping with this idea of essential identity, or consubstantiality, the goddess too is identified with the date palm in Assyrian texts. Since the human king, in contrast to gods, was made of flesh and blood, his consubstantiality with god of course has to be understood spiritually: It did not reside in his physical but in his spiritual nature, that is, in his psyche or soul. He thus was an entity composed of both matter and divine essence. This sounds very like the doctrine of homoousios enunciated at the Council of Nicaea in 325, in which Jesus is said to be “of the same substance” as the Father. According to the Epic of Gilgamesh, the eponymous hero, a “perfect king,” was two thirds god and one third man. The notion of the king as the son of god held true only insofar as it referred to the divine spirit that resided within his human body. In Mesopotamian mythology, this divine spirit takes the form of a celestial saviour figure, Ninurta, whose myth, in its essence is a story of the victory of light over the forces of darkness and death. It is not difficult to recognize in this myth the archetype of the Christian dogma of the elevation of Christ to the right hand of his Father as the judge over the living and the dead. 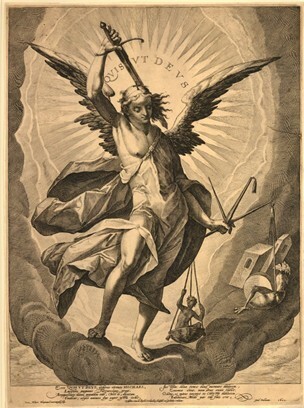 The figure of Ninurta also recalls that of the archangel Michael, the “Great Prince,” the slayer of the Dragon and the holder of the celestial keys, in Jewish apocalyptic and apocryphal traditions. The perfect king, metaphysically encompassed the whole universe, symbolized by the cosmic tree. In short, he was god in human form, the “perfect man,” the only person possibly fit to rule the world as god’s earthly representative. As a semi-divine being, he alone of all human beings was surrounded by divine radiance, ormelammu, the outward sign of divine perfection. A perfect king, filled with the divine spirit, would be able to exercise a just rule and maintain the cosmic harmony, thus guaranteeing his people divine blessings, prosperity and peace. By contrast, a king failing to achieve the required perfection and thus ruling without the divine spirit, trusting in himself alone, would rule unjustly, disrupt the cosmic harmony, draw upon himself the divine wrath and cause his people endless miseries, calamities and war. The purity and perfection of the king thus had to be maintained at all cost, and it was achieved with the help of god and through the exertions of the king and his closest advisers. Under this doctrine, godlike perfection was an inherent characteristic of kings, granted to them even before their birth. According to Assyrian royal inscriptions, kings were called and predestined to their office from the beginning of time. Their features were miraculously perfected in their mother’s womb by the mother goddess, that is, the spirit of god, and their intellectual and physical abilities were perfected by the great gods, that is, the powers and attributes of god. After birth, they were nursed in the temple of Ishtar and raised there “between the wings of the goddess,” being initiated into her sacred mysteries. The choice of the prince was confirmed by consulting the divine will through “extispicy” (inspection of the live r, or other entrails, of sacrificed sheep), and on an auspicious day the prince was officially introduced into the royal palace and presented with the royal diadem in a ceremony patterned after the triumphal return of Ninurta to his heavenly father. From now on the prince was considered equal in essence to his father, fit to exercise kingship and assume royal power should his father die. In the royal palace, the king lived in a sacred space designed and built after celestial patterns and guarded against the material world by deities and apotropaic figures stationed at its gates and buried in its foundations. Colossal supernatural beings in the shape of a bull, lion, eagle and man, symbolizing the four turning points, guarded its gates. These apotropaic colossi marked the palace as a sacred space and thus may be compared to the four guardians of the divine throne in Ezekiel 1:10 and Revelation 4:76, which later re-emerge as symbols of the four evangelists of the New Testament: Matthew (man), Mark (lion), Luke (bull) and John (eagle). Spiritual guardians and advisers of the king, constantly monitoring his conduct and health and helping him with their advice and expertise whenever needed. It was believed that the king’s performance was being constantly watched from heaven and that the gods communicated their pleasure or displeasure with him through a system of signs transmitted in dreams, portents and oracles that could be interpreted and reacted to. Any royal error or act committed against the divine will was a flaw calling for correction and, if perpetuated, divine punishment. However, no punishment was inflicted before the king had been notified of his error and had been given a chance to change his ways. After all, he was god’s beloved son. Apart from reading and reacting to the signs sent by the gods, the royal scholars protected the king against disease-causing demons, black magic and witchcraft. Every sin or error committed by the king, however small or inadvertent, was a blemish tainting the purity of his soul. Sometimes it was possible to soothe the divine anger by performing an apotropaic ritual. In other cases, however, the king had committed a sin so grave that it could be atoned for only with his death. This required enthroning a substitute king, who would take upon himself the sins of the true king and die in his stead, thus enabling his spiritual rebirth. This rite is not to be misunderstood simplistically as a cheap way of “tricking fate.” Its rationale lies in the doctrine of salvation through redemption outlined in the myth of the descent of Ishtar into the netherworld, according to which even a spiritually dead soul (in this case, the king) could be restored to life through repentance, confession of sins and divine grace. The relevant ritual put a heavy strain on the king, who had to live an ascetic life and undergo a long and complicated series of ritual purifications during the “reign” of the substitute, which often lasted as long as a hundred days. Embodied in the person of the king and in the Assyrian Empire itself, a true “kingdom of heaven upon earth,” did not exist just for its own sake but served a higher purpose: to provide mankind with a living example of spiritual perfection, the attainment of which would open the way to eternal life. Ultimately, then, the role of the king was that of a saviour from sin and death. The path to this spiritual perfection is outlined in the Epic of Gilgamesh, the famous story of the legendary king of Uruk who sought eternal life. An important clue is provided by the curious spelling of the protagonist’s name, GISH.GIN.MASH, which when broken down into its logographic components can be interpreted to mean “the man who matched the tree of balance.” Another clue is provided by the thematic structure of the epic: Each of its 12 tablets deals with a different spiritual theme associated with a particular great god of the Assyrian pantheon. Remarkably, the order of these gods corresponds to the order in which the same gods are distributed in the Assyrian sacred tree, starting from Nergal, the god of the underworld and sexual power at the root of the tree. [proto Kabbalistic tree? 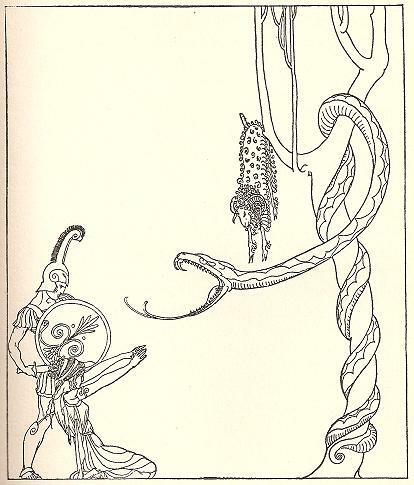 ]Once it is realized that the epic is structured after the sacred tree, the narrative can be read as a path of gradual spiritual development culminating in the achievement of supreme intellectual powers, which enabled the hero to meet his dead friend at the end of the epic and retrieve from him precious information about life after death. 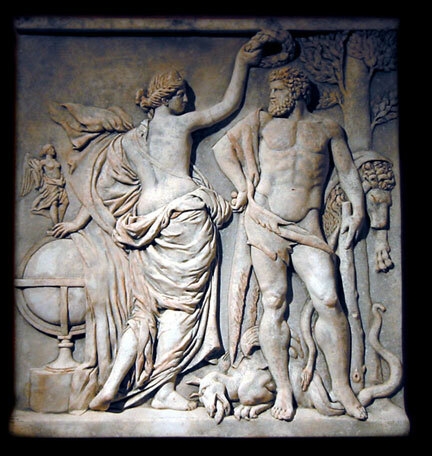 Two crucial points mark the hero’s progress towards spiritual perfection: the killing of the monster Humbaba and the felling of the tall cedar tree in Tablet V (which I take to symbolize victory over the “ego”) and the killing of the Bull of Heaven in Tablet VI (which I take to symbolize victory over the “id,” man’s animal soul). Thanks to the perfection that he achieved, Gilgamesh was granted divinity and made the judge of the netherworld–the Mesopotamian equivalent of Egyptian Osiris’s rule–after his physical death. Through his attainment of spiritual perfection, Gilgamesh became the yardstick of man’s spiritual value, the ideal weight, so to speak, placed on the other end of the scales to determine the weight of one’s soul on the day of judgment. In this role, the perfection of Gilgamesh and the way it was attained became a model for anyone who, like Gilgamesh, dreaded the idea of death and strove for eternal life. Even though the attainment of perfection is presented in the epic as a process taking place in Gilgamesh, a more attentive reading shows that his perfection is an inborn quality decreed to him at birth; aided by gods, he proceeds towards his goal unfalteringly, like the sun, never wavering in his course. Hence, the program of spiritual perfection outlined in the epic actually had no relevance for a king. The true hero of the story, rather, is Gilgamesh’s companion, Enkidu, a primitive man who overcomes his animal nature through divine guidance and becomes the partner and indispensable helper of Gilgamesh in his quest for life. The possibility of achieving human perfection is not limited to the king alone. The esoteric lore I have described did not die with the fall of the Assyrian Empire. The scholars who had previously served the Assyrian emperor later found employment at the courts of the Median and neo-Babylonian kings, the usurpers of Assyria’s claim for world dominion. ~ by meanderingsofthemuse on September 25, 2014.